You already know that building and growing your business can be a challenging (albeit rewarding) experience. Your time and effort built your business, but making the most effective use of these two resources means that, once you’ve reached a certain level of success, you’ll probably find it’s neither practical nor desirable to handle all the hard work yourself. 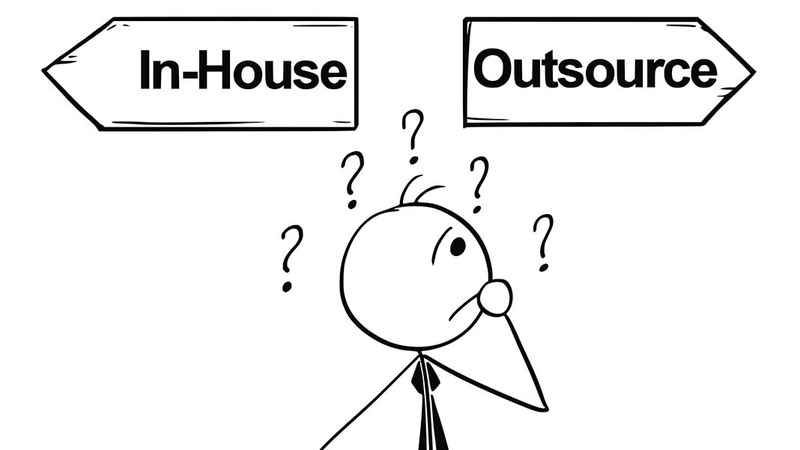 Outsourcing offers you a smart way to save both time and money. But when you’re deciding which tasks to farm out, it pays to take a look at how much you’ll be saving by understanding your own hourly wage. “Now, wait a minute,” I hear you saying. “I’m not some nine-to-fiver. I’m an entrepreneur. I don’t have an hourly wage.” Sure you do! Every project you take on, every work-related task you accomplish, is factored into your total weekly time commitment for your business. Divide your total time commitment by the amount of money your business makes in a week, and you’ve got a quick thumbnail of your hourly wage. This number is not only what you’re making every hour, but the value of an hour you spend on any given task —including ones that can be done more quickly, and more cheaply, by specialists and experts. And it makes an excellent measuring tool for not only where your business is now, but where you want it to be. Ask yourself: what is my current hourly wage? And don’t stop there. What is your target hourly wage? How much do you want your hourly wage to be? A Simple Example: Should I Hire a Bookkeeper? For years, I hesitated to hire a bookkeeper for my business. I knew that my company was not a simple, straightforward “money in, money out” type of business. We held funds for people, we had deferred payments, and my employee setup was different. My books were complex. So, rather than hire a bookkeeper, I kept control over my books. The problem was, I spent a lot of time doing it, and when I didn’t have time due to other demands, I didn’t update my records. I needed to outsource this task. Turns out, not only did it make sense for my time-management, it also effectively saved my business money. This means that any bookkeeper whose services cost less than $1,260 immediately represented a savings to my business. And as my hourly wage grew, the savings would grow as well. In the end, I found a high-quality bookkeeper for $250/month. The time I freed up allowed me to focus on other revenue-generating activities that had a direct impact on raising my effective hourly wage. In his book, 15 Secrets Successful People Know About Time Management, author and entrepreneur Kevin Kruse encourages his readers to write “1440” on a piece of paper and display it prominently in their office. One thousand, four hundred forty minutes: that’s what we’re all given each and every day. You can’t pack more into the day, so you need to make every single one count, and account for them in your plans. Money can be replaced, fun can be had, and work can be done, but once your minutes are gone, they’re gone. Compare your wage to the cost of having someone handle the most tedious and low-level tasks. Outsourcing frees you up to make smarter use of your time, and put those minutes where they can be most beneficial to raise your hourly wage, grow your business, and help you meet your goals. Outsourcing effectively can actually increase the value of your internet business. It’s true that online businesses are valued based on their earnings, but that value is absolutely affected by the efficiency of the business. Greater efficiency means lower costs, which means a higher hourly wage for you. And don’t forget, entrepreneurs who aren’t looking to spend lots of time on a business are probably going to offer less money than they would for one that generates a good income and requires less hands-on work from the owner. Your business has a whole set of processes — billing, marketing, customer care, accounting — that must be accomplished. But that doesn’t mean you’re the one who has to accomplish them. As the owner and operator, you’re the biggest cog in what should be a well-oiled machine. But not every cog fits every task. If you can replace your competent, but relatively inefficient, labor with the work of someone who lives to complete a given task at a reasonable cost, you’re ahead of the game in both time and money. One of the biggest favors you can do for yourself and your business is to banish the idea that you, and only you, can get the job done properly. Maybe it’s your bookkeeping, maybe it’s your marketing, or maybe it’s something as simple as handling your daily filing. Whatever “it” is, chances are you’ll be better off outsourcing if it can be done more cheaply and efficiently by someone else. Understand your hourly wage, explore your options, and soon you too can outsource your way to more time, more money, and a more valuable company. Author: Mark Daoust is the founder and CEO of Quiet Light Brokerage, an internet business brokerage firm advising entreprenuers on the exit of their e-commerce, SaaS, Amazon, and other web based businesses. Mark is also the author of the recently published Ultimate Guide to Website Value.